Advances in high performance computing (HPC) are unlocking ground-breaking possibilities for a whole range of industries. Yet, it is not just computing power gains that companies stand to benefit from. 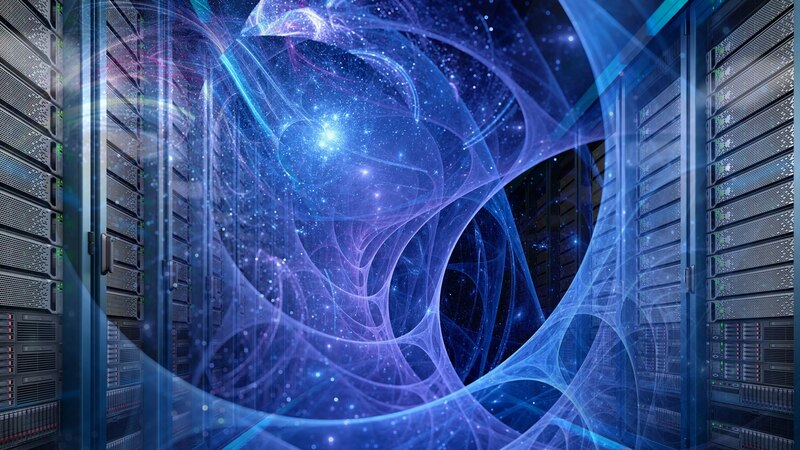 As new technologies, such as Artificial Intelligence (AI) and the Internet of Things (IoT), continue to evolve, organizations are presented with more opportunities to apply HPC capabilities in new ways. In this article, we look at how HPC advances are being embraced by different industries to improve traditional processes, and how technologies such as AI and IoT are helping to drive this innovation even further. Over the last few decades, HPC-enabled digital twins became increasingly popular in the manufacturing process. Digital twin is the phrase used to describe a computerized (or digital) version of a physical asset and/or process. The digital twin contains one or more sensors that collects data to represent real-time information about the physical asset. In fact, according to Gartner, the use of simulation with digital twins is one of its top tech trends for this year. A computerized version of a physical asset, a digital twin can be used to model and simulate that asset’s performance under a variety of conditions. This makes it a useful tool for understanding the behavior of real-world systems without having to run expensive live tests. An exclusive designer of high end racing engines has been using digital modeling and predictive simulation to design better engines in less time. By analyzing every engine component in order to optimize each engine for a specific track the engineering team has been able to improve the design cycle. Software and hardware advances have played an important role in the speed, efficiency, and accuracy of their predictive models. By using CONVERGE* simulation software, the team is able to model a range of options by using features such as automatic mesh generation, dynamic remeshing, and fully coupled chemistry. Using these advanced software features meant adding to the HPC system’s workloads. To meet these added workload requirements without extending runtimes, the team looked for a hardware solution. By introducing more parallelism into its computing platforms using Intel® Xeon® Scalable processors1 the team was able to ensure that any simulation can be run efficiently on the fastest available computing resource. In the energy sector, HPC-based digital twins combined with Industrial IoT capabilities are enabling a global digital industrial company to improve wind turbine maintenance. This is achieved by creating a unique digital equivalent for each turbine and feeding it data from physical IoT sensors. Through this process, they were able to detect a host of factors to be analyzed for each individual turbine. For example, it is possible to run a cost/benefit analysis of running a deteriorating turbine compared to replacing the failing components. When it comes to oil and gas detection, powerful computers are used to interpret complex seismic data during the exploration phase. This process involves generating seismic waves that go through the Earth’s surface and bounce back from different rock layers. The characteristics and nuances of these bounce-back signals carry a host of data that allows for interpretation of what is underneath the ground or seabed—such as oil, gas, water, faults or folds. To improve the accuracy of seismic data modeling, Intel worked with a leader in cutting edge geoscience to create highly accurate images of the Earth’s onshore and offshore subsurface. This information is incredibly useful to their oil and gas clients in pinpointing the presence of natural resources. HPC-enabled AI applications are helping healthcare practitioners redefine their approach to patient diagnosis. In a recent study, a fortune 500 company that provides imaging systems and clinical informatics teamed up with Intel to demonstrate two applications for AI-based deep learning inferencing to speed time to insights. This process involves training a deep learning AI model on X-ray images of human bones, along with a host of patient information such as age and gender, to enable it to build up a range of models of what bone density looks like for healthy individuals at specific ages. The trained model can then be used to predict a patient’s age based on their real-life X-ray images. If there is a discrepancy between real and predicted age it is possible to detect medical conditions. For example, if the predicted age for a patient is less than the actual age they could be suffering from malnutrition. Here a deep learning AI model is used to look at an array of information coming from computerized tomography (CT) scans of a lung. By training the model to identify the lung in the patient’s CT scans and create a segmentation mesh around it, it is possible to better measure the size and volume of the lungs. This information can also be used to detect issues, for example, with organ-specific tuberculosis or pneumothorax disease screening models. Moreover, thanks to the organ isolation created by the model, a radiologist can have a clearer, distraction free, anatomical view of the lung. In both these use cases, researchers looked to create performance efficiencies for deep learning inferencing on Intel Xeon Scalable processors without needing to use accelerators. By using a two-socket system powered by Intel® Xeon® Platinum 8168 processors and optimized using the Intel® Deep Learning Deployment Toolkit (Intel® DL Deployment Toolkit), they were able to achieve significant speed improvement. For the bone-age-prediction model, image processing increased from a baseline result of 1.42 images per second to a rate of 267.1 images per second, a staggering 188 times improvement. For the lung-segmentation model, image processing shot up from a baseline of 1.9 images per second to 71.7 images per second, surpassing expectations with a 37.7 times speed gain2. There is no mistake about it, HPC is expanding beyond traditional use cases and becoming a prominent feature in growing enterprises’ future capabilities. For organizations wanting to optimize their existing HPC infrastructure for specific workloads such as professional visualization, simulation and modeling or genomics analytics Intel® Select Solutions for HPC offer easy and quick-to-deploy infrastructure. To learn more about emerging AI applications and how your organization can start benefiting from integrating AI capabilities into your business processes, check out more inspirational use cases on our AI site. For more insight on how to use HPC infrastructure to get going with AI workloads read this Solution Brief from Intel. 1. Vector vVector Extensions 2 and Intel® Advanced Vector Extensions 512) and Flame-D* workload. Baseline server configuration: 2 x Intel® Xeon® processor E5-2697 v4 (2.3 GHz, 18-core), 128 GB memory (8 x 16 GB DDR4 @ 2400 MT/s), Red Hat Enterprise Linux* 7.2, 2 x Intel® SSD S3500 Series. New server configuration: 2 x Intel® Xeon® Gold 6148 processor (2.4 GHz, 20-core), 192 GB memory (8 x 16 GB DDR4 @ 2400 MHz), Red Hat Enterprise Linux 7.3, 800 GB Intel® SSD Data Center S3500 Series. 2. Results were determined with the same system configuration as shown in Appendix A. The baseline shows zero optimizations. The optimized data used the same system configuration in conjunction with the noted optimizations. Software and workloads used in performance tests may have been optimized for performance only on Intel® microprocessors. Performance tests, such as SYSmark* and MobileMark*, are measured using specific computer systems, components, software, operations and functions. Any change to any of those factors may cause the results to vary. You should consult other information and performance tests to assist you in fully evaluating your contemplated purchases, including the performance of that product when combined with other products. For more complete information visit www.intel.com/benchmarks. Performance results are based on testing as of August 2018 and may not reflect all publicly available security updates. See configuration disclosure for details. No product can be absolutely secure. Intel does not control or audit third-party benchmark data or the web sites referenced in this document. You should visit the referenced web site and confirm whether referenced data are accurate.